Oakland will soon have the tallest prefab modular high-rise apartment complex in the country. RAD Urban is pushing forward with plans to build two 29-story high-rises with 200 units of housing using steel-framed modular units. 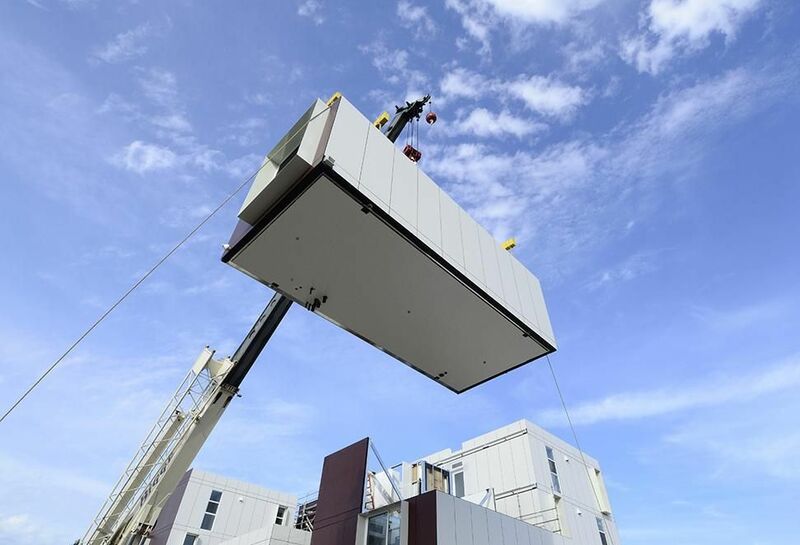 Unlike projects built with wood-framed modular units that top off at mid-rise level, projects built with steel-framed modular units can reach much higher, RAD Urban Senior Vice President, Construction and Operations Jason Laub said. Modular isn’t new to construction and it has been around for decades, Laub said. Modular construction and other emerging construction technologies will be discussed at Bisnow’s upcoming Oakland Construction and Development Update! June 14. The increased costs of construction has caused more people to look at modular as a solution and cost savings, Laub said. Steel modular construction saves 20% on construction costs and time to completion compared to conventional stick-built construction. Modular construction is quickly becoming an alternative to traditional construction to save time and money throughout the Bay Area.